@GyroZeppeli thanks my friend. Seems like a pretty good review for a cheap game. Only thing that has me holding off is the lack of direction. I often give up on games that I get lost in. Next time it's on sale ( or if it is now) maybe I'll give it a go. Huh, turns out I was right on the spot about the new system update. NSMB U DX icons, new languages, and absolutely nothing else. The Nintendo switch thread, the thread that is so off topic that even the title is off topic. Only Nintendo Direct can save this thread. Thursdays investors meeting should generate some Nintendo buzz. With some hailing it and some doooooming it. I maintain my 15.2 mil, and they will end the year around 17-17.5. which I feel is fine. Wouldn't be surprised if they breezed past their software goals for the fiscal year over the holidays. It always comes back sooner or later. Just embrace whatever topic that comes up. Unless it's a crappy topic (remember when we were talking about advanced math for at least 2 or 3 pages? ). Might just have to look into this one. That seems plausible, or at least they will easily do it before the end of the year. 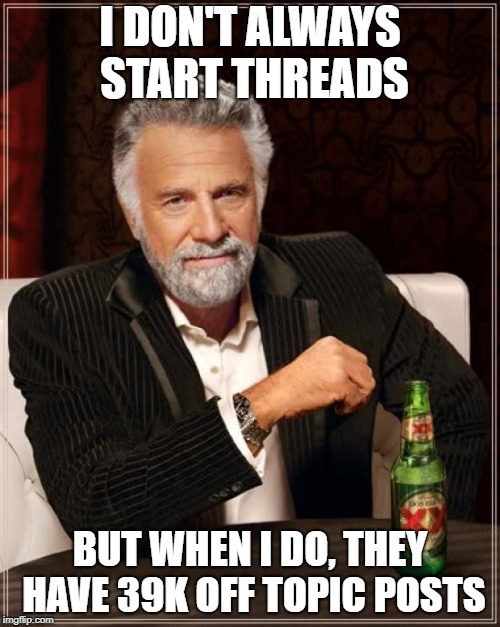 @ReaderRagfihs I know, just thought it funny that someone complained about the "off-topicness" of this thread. It has been off topic since the first page. In fact, being off topic is being on topic here. @Therad And to think, it was you that began this whole thread! This whole off-topic thread is entirely our fault! Is everyone’s Switch nice and stable after the update? "Nice park you've got there...It'd be a shame if a dino came and T-Rexxed it...."
@Therad Oh, so now I know who to blame for all of this, good. Fun? We need no stinkin' fun! Back on topic, what do you think the NX is? @ThanosReXXX I think they should change the name as well. Something like the "Nintendo swatch".